Guerrilla Skepticism on Wikipedia: Jan & Feb 2014 - We've been Busy! Things are just starting to come together with our forum. I've taken over the training process and it is insane but I love it. I assign tasks that are as simple as correcting spelling, rewording a paragraph, repairing a citation. To difficult tasks like completely re-writing a page. Mostly new people are assigned what I call "backwards edits" mainly from podcast interviews. I've made spreadsheets with every episode of specific podcasts, and then assign the new editor the task of listening and relistening to the interview and seeing if they can use the podcast to support or improve the Wikipedia page. Most times I have not listened to the episode, and many times the new editor has not heard of the "target" before. In other words this is the opposite of how most WP editors edit. We are not starting with a "target" in mind and looking for sources to improve it, but having the citation and looking where to put it. Below you will see many page improvements. There are a few brand new page creations, but most are re-writes. Many came from brand new editors who have joined since January. They started with the assignment to add one backwards edit to a page, and then they were supposed to leave it alone and then start a new assignment. But instead they got interested in the "target" and kept working on the page. 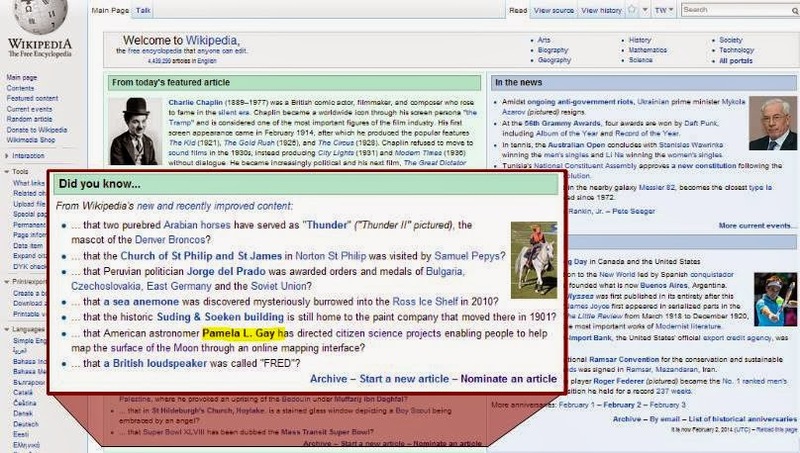 Our goal is to get as many as possible on the front page of Wikipedia as Did You Knows. This is an outreach to the general Wikipedia reader who might never have heard of scientific skepticism. We are also approaching our "targets" once we are almost done with the page and asking for an audio recording. You will see a few on the pages below, and I think you will agree with me that it really brings the page alive. I want to quickly mention that I've tried to give a shout-out to the person(s) responsible for working on the page. Usually there is one strong lead person. But GSoW is a team, many people contribute to this effort. People find photos and citations, proofread and all kinds of other support functions. And the audio team is working to clean up the audio, get the correct licensing, uploading and turning it into the correct format and adding it to the page. In some cases you will find we have added closed-captioning to the audio. I also have photo people who do their photoshop magic on images before we add them to the Wikipedia page. There is a lot going on behind the curtain. Pamela Gay - Received a brand new page courtesy of senior editor Nathan Miller. Nathan has been focusing on astronomy because of the release of Cosmos in March, we feel that once that is released the world will become more interested in science and the people associated with it. We need to have something for all those readers to find when they are searching. In order to encourage outreach Nathan managed to get Gay's page featured on the front page of WP for 8 hours as a Did You Know? feature. This gave Gay's page an additional 1,000 readers. Burzynski Clinic' s Wikipedia page continues to be updated in English. Now our German team has completed a rewrite of the English page. Kylie Sturgess - one of the first to participate in our new Voice Intro Project. She has a few updates and check out the new feature. Really awesome isn't it? Maryam Namazie got a lot of attention from the Dutch powerhouse Leon Korteweg. He and Ryan Harding re-wrote the English page (from 6 citations to 22) and then Leon and editor Rik Delaet translated that to create the Dutch page. English Before & After - Dutch And this is a perfect example of how the World Wikipedia team works. Emery Emery also received a brand new page. This was another of Jay Young's creations, and now that I'm writing this blog I see we really handed him a lot of work. When you look at these pages it might not look like a lot of work, but really it is. When we approached Emery and asked for audio, I realized that I really didn't know what the time limits were. We were given a few examples that were all cookie cutter type examples. Emery broke those rules as you will see when you review his page. Quite refreshing. Here are the results for the Bill Nye the Science Guy's page on Feb 5th. Atheist Manifesto - or maybe I should say Atheïstisch manifest has been newly created in Dutch by our prolific Leon Korteweg and Vera. Skeptic Zone Podcast - Richard Saunders and I discuss GSoW and my cancer treatments. Where you can find us next... I will be speaking at QED in Manchester, England in April. And of course you can find me hanging out at TAM in July in Las Vegas and SkeptiCal in Berkeley, CA in May. Thanks for your great effort...your makeovers are well-done. You are doing a wonderful job. Something you might want to look in to. There is a bit of an edit war going on at the page covering one of Australia's more notorious UFO encounters where someone is trying to add a more skeptical perspective but is getting pushback from the believers. Here is a link to the edit history, the believer calls themselves VUFORS. Thank you Graham. This page is already on our radar but I've been waiting for the dust to settle a bit. There has been a lot of reporting from the skeptic community on this case, I've heard it mentioned on the Skeptic Zone and of course Skeptoid lately. Thanks for mentioning it, I need to probably send someone over to see what is happening and if we might step in and make sure it is progressing correctly. Actually the most interesting aspect of this could be seen on Jimbo Wales Talkpage in the form of the entry entitled "I am sad to say Mr Wales but this is not acceptable behaviour/bullies"
Thanks Melz. Corrected it. I've spelled it wrong so many times that it looks correct to me.